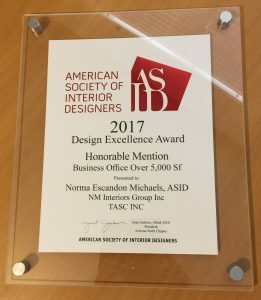 NM Interiors is excited to announce that Norma Escandon Michaels has been awarded Honorable Mention for Business Office over 5,000 sf at the recent ASID Awards Dinner. Her award winning project is: the renovation of TASC Inc. Corporate Offices. 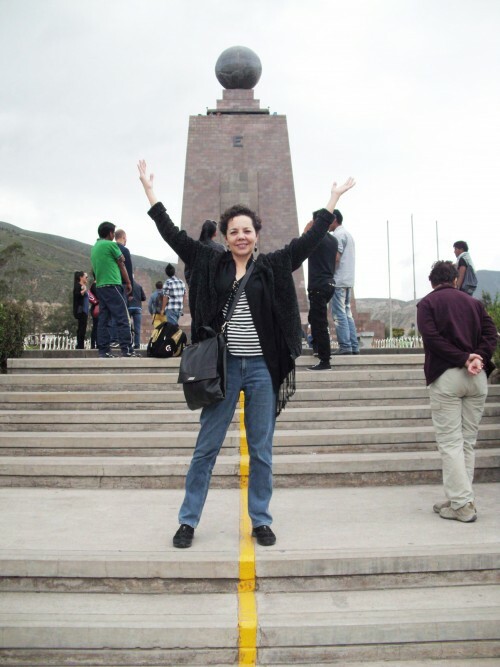 TASC Inc. is a non-profit drug testing and treatment service provider. 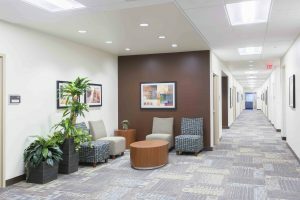 After years of piece-meal expansion in various locations, this drug-testing and treatment facility headquartered in Phoenix found a building to house their corporate headquarters. The corporate leadership concluded that significant business efficiencies could be achieved by consolidating the multiple offices and facilities housing its corporate leadership, clinical laboratory and behavioral health services programs in a single, centrally located facility. A 41,600-square foot building constructed in the early 1970s was found, the structure had been remodeled at various points and served as the headquarters for the local Channel 5 TV station. Nonetheless, much of the existing office space was dated or evidenced significant neglect. Its main elements consisted of a single-story office wing, a two-story office wing, and a high-bay area. To accommodate and welcome the range of clients and associates using the facility, the original lobby was expanded. As part of the built out, a drug testing and urine collection facility was created. 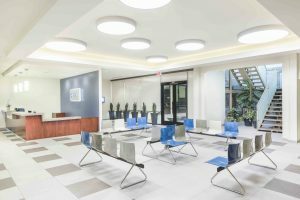 Several large, asymmetrically located, circular surface-mounted light fixtures housed in a custom soffit area constitute the outstanding design elements in this area – bringing light and increasing the overall visual space. Extremely durable lobby seating was provided which was needed due to requirements requested by the client. 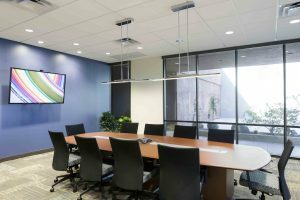 A corporate administration area takes full advantage of the existing office space, re-purposed to provide a significant variety of office configurations and the flexibility that a growing organization needs. The new spaces include private and shared offices; an executive conference room; a secondary break out area, two multi-purpose meeting/training rooms; a large break room with a full kitchen; a mail, file and copy room; and staff restrooms. A large lounge seating area just outside of the boardroom serves as a private lobby and break-out space. This has proved to be a high-use area. The first floor of the two-story office wing assigned to Counseling was re-designed to provide private and shared office spaces; a customer service “fishbowl;” a group meeting room with an operable partition; a large corporate training center; a small break/coffee room; and public restrooms. Much of the second floor of this wing was gutted. The resulting reconfiguration resulted in the creation meeting rooms and offices. An elevator was added to provide accessibility to the second floor, and the stairs were modernized with frosted glass panel and stainless steel railings. The furniture package created for this busy, high-traffic facility emphasized extreme durability, personal comfort and safety. To ensure visual consistency and comfort, the client was provided with a standardized color palette. This color palette is now used at all of the client’s new facilities and coordinates with the corporate brand. Throughout the design process, special emphasis was placed on security. Distinct security requirements were defined and implemented for private spaces and public spaces, with strict attention to HIPPA regulations and specifications. Applicable security features included secure file rooms, quadrant-specific, key-cards for doors ensuring limited access to approved individuals, and appropriate monitor-installations. I have been asked so many times over the years, what is the process involved in designing and building a commercial space, a Tenant Improvement. 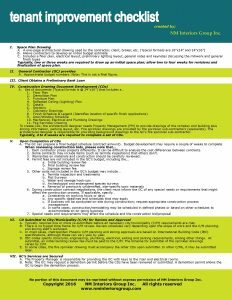 So I collaborated with a contractor to create a checklist which explains every step of the process. 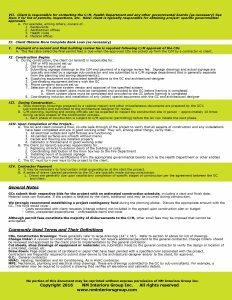 Below is the first page of the checklist. For the full checklist refer to our Tools page on the www.nminteriors.biz website. I have been working on a total remodel of an Eye surgeons office in Mesa over the last several months. 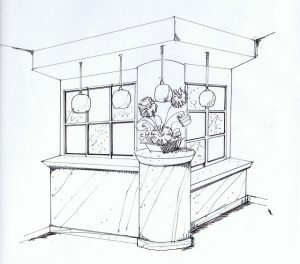 Quite excited as the design is developing nicely and the colors/finishes/textures are going to be fantastic. The waiting room desk was a challenge. The client/Dr. wants a nice separation between the waiting room and office area. The solution is custom sliding glass window system which will serve to create some privacy and also give the client the spa-like appearance she wants. See sketch above! Some of the glass panels at the sliding windows will be frosted. I am excited to see the final product! For the doctors private office the goal is to create a space that is somewhat flexible and open. I designed an L-shaped workstation in order to keep the space open in the center of the room as much as possible. The Doctor will have a small table in the center of the room for small meetings. She likes wood furniture, but for her needs a wood-look plastic laminate is the answer. 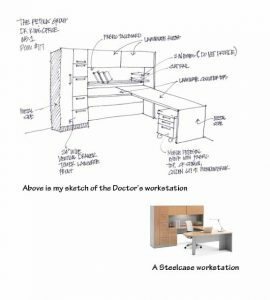 See my rough sketch below and a photo of a similar workstation she liked. So nice that the options keeping increasing so that we as designers can truly create a space that is specific to the needs of the user!